An airman with the unit is being considered for the Medal of Honor after new video analysis suggested that he fought alone bravely in a 2002 battle on an Afghan peak. Tech Sgt. John Chapman in an undated photo. Now, more than 14 years after that brutal fight, in which seven Americans ultimately died, the Air Force says that Chief Slabinski was wrong — and that Sergeant Chapman not only was alive, but also fought on alone for more than an hour after the SEALs had retreated. The Air Force secretary is pushing for a Medal of Honor, the military’s highest award, after new technology used in an examination of videos from aircraft flying overhead helped officials conclude that the sergeant had killed two fighters with Al Qaeda — one in hand-to-hand combat — before dying in an attempt to protect arriving reinforcements. The new account of Sergeant Chapman’s last act reopens old wounds for SEAL Team 6, the elite Navy unit that would later kill Osama bin Laden. The findings could rekindle tensions between Team 6 and other Special Operations organizations that lost men in the March 4, 2002, mission, which they felt the SEALs had planned and executed poorly, according to current and former military officials. Like some other military units, Team 6 accepts as an article of faith that its members never leave a fallen comrade behind. While that can be difficult to fulfill, it is a creed as old as warfare itself, a pact with those facing great peril. Abandoning a wounded man to fight and die by himself, however inadvertent, officers say, would be devastating. be embedded in this copy of the article. Chief Slabinski, who is now 46 and retired, acknowledged that he might have made a mistake under intense fire in thinking that Sergeant Chapman was dead. Still haunted by what happened on the mountain, he replayed the events there to explain his decisions that day. 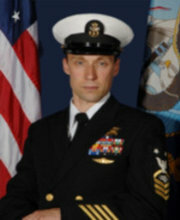 Britt Slabinski, a senior chief petty officer, concluded that Sergeant Chapman had been killed. New technology applied to video taken at the time of the battle has suggested that the fallen airman survived and continued the fight after the SEAL unit had withdrawn. While saying the sergeant should be recognized for his valor if the Air Force narrative was correct, Chief Slabinski still expressed skepticism that the new evidence — gleaned from software that can isolate pixel representations of people and help track their movements — was reliable. SEAL Team 6 supports the proposed award, military officials said, but is not taking a position on whether Sergeant Chapman was alive when the SEALs retreated. If approved by the president, the award will be the first of the more than 3,500 Medals of Honor given since the Civil War to rely not on eyewitness accounts but primarily on technology. The events surrounding the ill-fated mission have long been controversial, partly because Chief Slabinski has said previously that higher-level officers denied his request to delay it 24 hours to reduce the risks. In the interview, he said he feared that critics in the Special Operations community would blame him while glossing over decisions by the higher officers that contributed to the deaths. “They’re going to say: ‘Yep, it’s all your fault. You left him up there, behind, alive,’” he said. Chief Slabinski’s team was ordered to establish an observation post on top of the mountain, Takur Ghar, during Operation Anaconda, an effort to encircle and destroy Qaeda forces in the Shah-i-Kot Valley in eastern Afghanistan, about 25 miles from Pakistan. 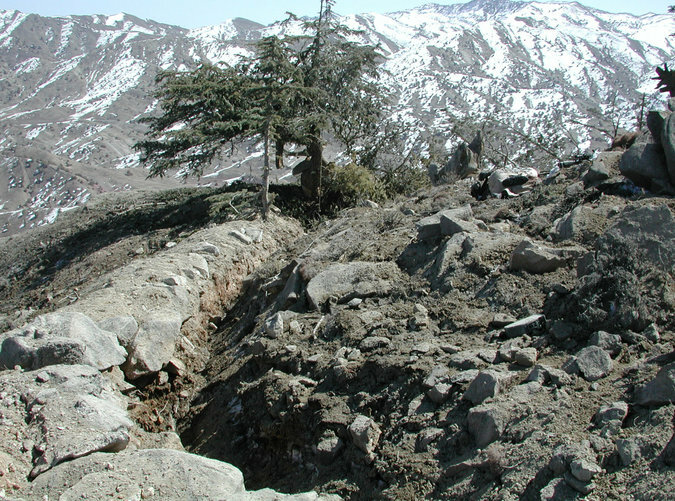 The battle occurred less than three months after bin Laden had escaped at Tora Bora, and American commanders still hoped to capture or kill senior Qaeda leaders. Chief Slabinski’s plan was to land by helicopter near the base of the 10,000-foot mountain around midnight and climb up stealthily, but a series of delays involving aircraft left no time to do that before dawn. Under pressure from superiors, he said, he reluctantly flew to the peak at about 3 a.m.
Unbeknownst to the SEALs, Qaeda forces were already there, and they hit the helicopter with heavy fire. One of Chief Slabinski’s men, Petty Officer First Class Neil C. Roberts, fell out about 10 feet above the ground, and the pilot could not retrieve him before the stricken aircraft crash-landed a few miles away. Shortly before 5 a.m., the five remaining SEALs and Sergeant Chapman returned to the top — later called “Roberts Ridge” — on another helicopter to try to rescue Petty Officer Roberts. They did not know that enemy fighters had already killed and tried to decapitate him. The Americans were again met by a withering barrage. Rushing through thigh-deep snow, Sergeant Chapman charged ahead of Chief Slabinski, and they killed two fighters in a bunker — a hole dug in the ground under a tree — before the airman was wounded. Under fire, the SEALs retreated about 15 minutes later. Chief Slabinski’s plan, he said, was to take cover and let a circling Air Force gunship hammer the Qaeda fighters before trying again to seize the peak and recover Sergeant Chapman’s body. But grenades and mortar fire drove the SEALs farther down the mountain, making it impossible to return. Three Army Rangers, an Army helicopter crewman and another Air Force commando were killed later that morning after arriving as reinforcements. Almost as soon as the guns fell silent, the accusations started to fly. Some Ranger, Army Special Operations aviation and Air Force special tactics personnel blamed the SEALs for their losses. Soon after, the military opened an investigation to determine what had gone wrong. 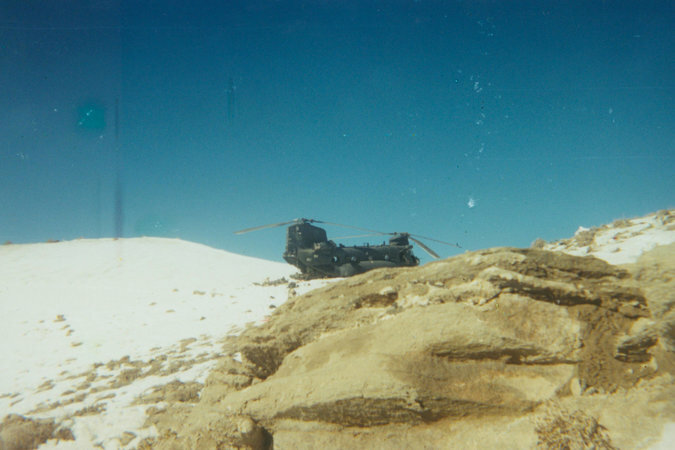 The chief investigator, Lt. Col. Andrew Milani of the Army, wrote later that an Air Force gunship had failed to detect the militants on the mountaintop and that the SEALs had “violated a basic tenet of reconnaissance” by landing directly on their observation post instead of hiking up to it. 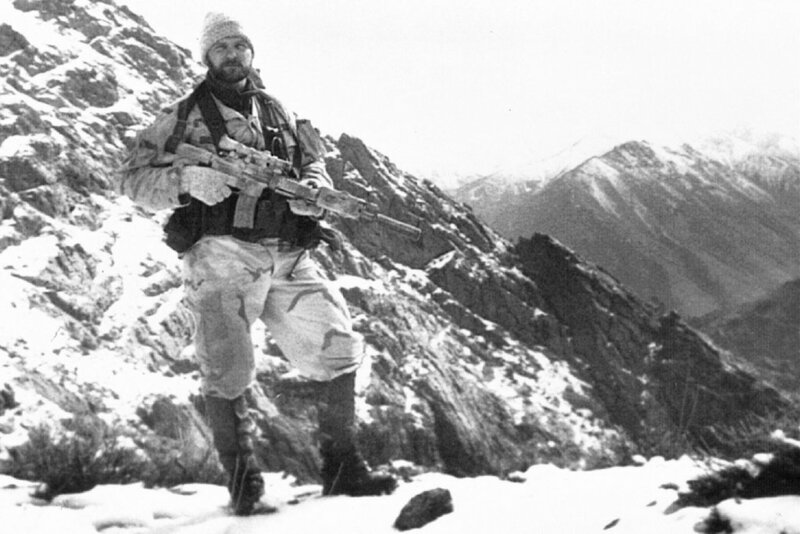 Colonel Milani also looked into footage captured by a Predator drone about 50 minutes after the SEALs had left the mountaintop. The grainy images showed someone in the bunker defending himself against two attackers and killing one with a rifle shot, prompting the question: Who was that? Colonel Milani’s investigation remains classified, but an unclassified paper that he wrote in 2003 offered two possible explanations: The Qaeda fighters had become confused and were firing at one another, or Sergeant Chapman, still alive, had resumed fighting. The colonel did not reach a conclusion, based on the evidence he had. But the suggestion that members of one of the military’s most elite Special Operations units might have, even unintentionally, left someone from another service to fight and die alone added to the tensions. Sergeant Chapman had enlisted in the Air Force as a computer technician, but soon found that he was not suited to a sedentary lifestyle. A former high school diving and soccer star from Windsor Locks, Conn., he transferred into the elite ranks of the Air Force Special Operations Command as a combat controller, a job that involved calling in airstrikes and handling radio communications for SEAL Team 6 and other secretive units. By the time he had joined Chief Slabinski’s team in October 2001, he had spent more than a decade in Special Operations and, at 36, was expressing doubts about his ability to keep up, Chief Slabinski said. The chief told him that he had nothing to worry about. Sergeant Chapman was considered for the Medal of Honor when the secretary of the Air Force, Deborah Lee James, directed the service’s Special Operations Command to review the seven Air Force Crosses awarded since the Sept. 11, 2001, attacks for possible upgrades. She recently recommended the award to the defense secretary, whose approval is required before it goes to the White House. Pentagon policy forbids military officials to talk about potential Medals of Honor, but several officials, speaking only on the condition of anonymity, said that even the sergeant’s initial bravery had stood out. A briefing prepared by Air Force special operations officials dismisses as “not viable” Colonel Milani’s suggestion that the gunfight caught on video by the C.I.A. Predator might have involved militants fighting one another, according to people who have received it. That the airman was alive and fighting “is fully supported by the evidence,” the briefing slides state. The use of the imagery-enhancement technology to scrutinize the Predator video was central to the findings, particularly when combined with footage, from an AC-130 gunship, that had not been available to Colonel Milani. As the drone circled more than 6,500 feet above the peak, trees and other objects impeded its view, and it had trouble staying locked on to the men in the fight. The imagery technology, still being refined in an Air Force lab, enabled the service to assign each person in the blurry videos a “pixel signature” based on his size, his clothing and the weapons he carried, people who have been briefed said. By identifying Sergeant Chapman shortly after he stepped out of the helicopter with the SEALs, the briefing slides say, its imagery analysts could follow him around the mountaintop, picking him up even when trees or other obstacles partly obscured him. Outside experts familiar with the technology said having video footage from the gunship as well as from the Predator drone would have provided the analysts with more tracking angles and clarity. “That’s two different eyes, and they could fuse that together,” said David J. Kriegman, a computer science professor at the University of California, San Diego, who has done research in this area. Based on the analysis, the Air Force believes that Sergeant Chapman was unconscious when Chief Slabinski thought he was dead. The sergeant regained consciousness and began engaging enemy fighters in three directions, the slides suggest. 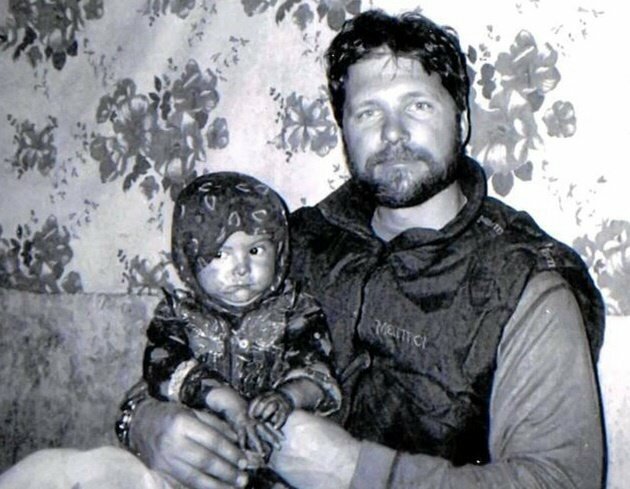 Sergeant Chapman holding a young girl in a tent in Afghanistan during a blizzard in the winter of 2002, not long before he died. The analysis suggests that Sergeant Chapman crawled into the bunker within 13 minutes of the SEALs’ departure, or at about 5:25 a.m. Then, at 6:00, shortly after a rocket-propelled grenade was fired at the bunker, he fatally shot a fighter rushing toward him, according to the briefing. A few minutes later, another militant crawled to the bunker’s edge, where, at 6:11, the airman killed him in hand-to-hand combat. As a Chinook helicopter carrying Ranger reinforcements approached, the Air Force contends, the sergeant rose up in the bunker for a better angle to provide covering fire. He faced machine-gun fire as he tried to relieve the pressure on the Rangers, whose helicopter was struck by a rocket-propelled grenade. It was only then, with rescue tantalizingly close, that two machine-gun bullets struck the right side of his chest, killing him almost instantly. The Air Force says his death was not captured on video. Presented with the Air Force analysis, Colonel Milani submitted an addendum to his paper. “With some of the original uncertainty removed, I can state that the probability now lies more in favor of Chapman surviving the original assault,” he wrote. The Air Force’s case includes a new analysis of Sergeant Chapman’s autopsy that found that bruising on his forehead could have happened only if he had been alive, making the hypothesis that he had been briefly knocked out more plausible. His body, which was recovered later that day, had nine bullet wounds, five below his waist and four above. The sequence of the injuries is not known. But the two fatal rounds entered at what would have been an impossible angle had he been killed where the SEALs said he had fallen, according to people familiar with the Air Force briefing. A bunker on Takur Ghar. 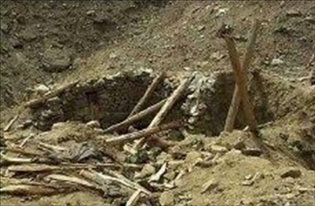 New evidence suggests that Sergeant Chapman fought on for more than an hour after his presumed death from this bunker or another close by, killing two Qaeda fighters before dying. Colonel Davidson said the Air Force could see Sergeant Chapman “moving in and around the bunker” where he and Chief Slabinski had killed the two enemy fighters, the chief said. But because the bunker was under a tree that largely obscured it, this was not clear to Chief Slabinski watching the video. Chief Slabinski said Sergeant Chapman’s assault rifle had been equipped with a suppressor to mask its muzzle flash, but the video showed the man in the bunker firing a weapon with an unsuppressed muzzle flash. The chief also questioned why the man shooting in the video appeared to fire on full automatic, rather than with the single aimed shots that the sergeant would have been trained to use. At times, Chief Slabinski said, he feels as if he had never left Takur Ghar. He still has “visions” in which he sees fighters on the mountain moving in slow motion, and hears the sound of grenades and gunfire. He has trouble sleeping, and says he has received a diagnosis of post-traumatic stress after a dozen years of war. What stays with him the most is that morning he led his team into battle to try to save one man, only to be told later that he had left another fighting for his life. A version of this article appears in print on August 28, 2016, on Page A1 of the New York edition with the headline: An Airman Left for Dead, but Signs He Fought On.